The agency world is changing fast. New technologies and competitors threaten your market position. This guide looks at 7 top agency new business trends and how to deal with them. It’s hard to run an agency today. Between competition for consultancies and tech firms, emerging trends, and ever-increasing attrition rates, you have your hands full. If you are to thrive in 2019, you have to look out for agency new business trends. What are the technologies that will build the next billion-dollar agency? How should you deal with the threat of consultancies? And what can you do to position yourself as a market leader? I’ll look at some of the top new business trends for agencies, and how you can prepare for them below. Mobile apps, native advertising, even video advertising were a little more than hushed murmurs in Silicon Valley garages until a decade ago. Today, they’re among the fastest growing marketing channels across B2B and B2C marketers. This is one of the fundamental realities all agencies have to face today: that the marketing landscape is evolving fast. One Salesforce study even showed that marketing leaders spend 34% of their marketing budget on channels that didn’t even exist five years ago. In this pursuit of ‘newness’, an agency with outdated marketing collateral stands out like a sore thumb. If your pitch deck was last updated in 2015, it tells clients that you don’t care enough to keep abreast with market changes. And in an industry where first impressions and embracing technology matter deeply, this can be a serious competitive disadvantage. Also consider whether your marketing collateral’s design and content are in-line with industry expectations. It’s often better to abandon a rarely updated, shrinking, low-impact channel than to maintain a sparsely updated presence on it. You’ll save resources and won’t leave a poor impression on any prospective client who happens to drop by. If you have the resources, consider doing a deep cleanse, i.e. a digital brand audit. This will help you identify any gaps in your online presence and ensure you leave a positive first impression everywhere. Read this guide to learn how to audit your brand. Can a creative agency just focus on being “creative” anymore? If the trends are any indication, it’s going to be increasingly rare. Marketing is evolving, and with it, the role of agencies. Gartner’s survey of CMOs found that marketers are increasingly interfacing with IT, sales, and customer experience departments. In 62% of companies, all digital commerce rolls up to the CMO. Further, CMOs who take up more responsibility for the profit and loss see budget increases. Even though overall marketing budget growth was flat in 2017, 75% of CMOs who assumed P&L responsibility expected to increase their budget. Marketing is eating the operations pie. Where marketers used to once stop after getting leads in the pipeline, they’re now expected to assume much greater responsibility. Given this situation, can your agency really afford to just sell “marketing” or “creative”? Probably not. To compete for the accounts that matter, you have to be willing to show real impact, not just a few leads in the funnel. The more you can connect your work to the client’s bottomline, the more irreplaceable you become. Evaluate how you position your agency. Don’t just sell “marketing”; sell higher revenues and better profit margins. Assume more responsibility in your client’s marketing machinery. Calling “mobile-first” a trend would be to underplay its sheer impact. Mobile adoption hasn’t just opened up another point of interaction; it has legitimately changed the world. You might not understand what the big deal is if you’re above 30 and live in the developed world. But entire segments of consumers, especially those in the developing world, are skipping the computer to go mobile-only. 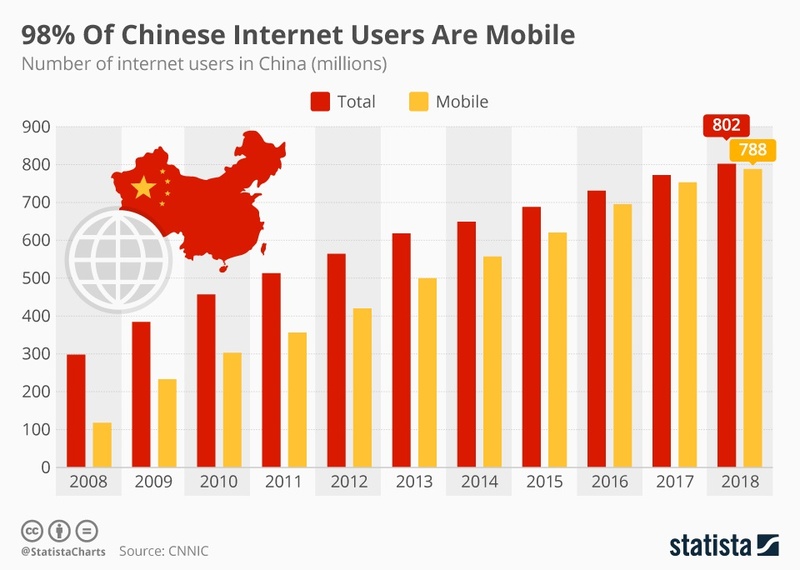 Case in point: there are 310M fixed-line broadband users in China, and 788M mobile internet users. For a massive share of the population, mobile is the only way they access the internet. It’s a similar story in neighboring India where users access the internet through their mobiles 80% of the time. Desktop penetration hasn’t just slowed; it has declined in the last few years. Together, these two countries alone represent over a billion consumers. Back home, Gen-Z isn’t just mobile-first; it’s mobile-only. Smartphone penetration in this $44B market stands at 98%. The future, clearly, is mobile-first. So how should your agency respond to this change? The easiest approach would be to orient your agency along mobile. If your audience is going mobile-first, it only makes sense to adopt the same stance in your services. Instead of doing “web design”, switch to “mobile-friendly web design”. It’s a subtle change in positioning but it can have a big impact on how clients see you. A more aggressive approach would be to go all-in on mobile. That is, instead of “web design”, develop expertise in “app design”. This might mean completely realigning your business, but if you think that mobile is the future, it can give you an advantage over the competition. For instance, Fetch started out as a mobile-first agency in 2009 and grew to become Dentsu’s mobile arm, gathering over $250M in billings in under a decade. By clearly declaring that it was “mobile-first”, Fetch was able to corner a growing market. Regardless of which approach you choose, it is clear that mobile is more than a trend; it’s an evolution that is here to stay. I don’t have to tell you that advertising is changing. You likely already know that millennials don’t trust ads and that Gen-Z is even more advertising resistant than the generations before them. You also know that traditional media is dying, that more and more people are cutting cable, and channels like print are on a downward spiral of irrelevancy. The age-old tactic of blasting a 30-second TV spot or grabbing a full-page ad in TIME doesn’t cut it anymore. If you rely on these traditional channels, you’re going to find your client roster dry up eventually. Worse, you risk becoming irrelevant and stagnant in a social, mobile-first world. The antidote to this problem is to invest in two leading channels of growth today: native advertising and influencer marketing. Young people trust influencers more than they trust ads. Just ask Kylie Jenner. And when they’re not buying whatever their favorite YouTube and Instagram celebs are selling, they turn to native ads. In fact, native ads are on such a tearaway growth that they’ll make up 60% of all digital display ad spending by 2019. For agencies, the writing on the wall is clear: adopt native and influencer marketing, or perish. If your business currently hinges on traditional channels, now is the time to re-evaluate your stance. Try pitching a few influencer marketing campaigns to your clients. Throw some native ads into your marketing mix. See what sticks. To thrive in 2019 and beyond, you’ll have to embrace influencers and native media. “Hourly billing” is about as close as you get to dogma in our industry. Clients expect it and most agencies appreciate its simplicity. But is it really the best way to bill your clients? Hourly billing doesn’t connect you in any way to the client’s success. The campaign might be a dud, but you’ll still get paid. While this might be nice for the defensive, mediocre agency, it stops ambitious, high-performing agencies from extracting higher profits. Your work gets tied to your output, not the results you bring in. Your campaign might lead to a 1,000% increase in sales, but you’ll still get paid at the same rate as an agency increasing sales by 1%. Then there’s also the fact that hourly billing is unpredictable. You don’t know how much money you’ll bring in each month, leading to those famed feast-famine agency cycles. But the biggest flaw in the hourly billing model is that it places you at odds with your clients. Your clients want the best possible work in the fewest possible hours. You, on the other hand, want to take as many hours as possible to extract maximum profit. Your interests don’t align with your client’s, which is the source of so much agency-client strife. While some services will always be billed on an hourly basis (such as hard-to-estimate creative work), you can try shifting to value or retainer billing for others. If you’re selling PPC, for instance, you can tie your billing to your results. For inbound, you can bundle up a bunch of services in a monthly subscription. Value or retainer billing has the benefit of bringing in predictability to your revenue. A client billed at $5,000/month will always net you $5,000, regardless of the hours you work. For agencies that don’t always have a handle on their true profitability (which is most agencies), this predictable income stream can be a game-changer. Even more, value and retainer billing brings you on the same page as your clients. Your success is tied to your clients’. This makes for better agency-client relations in the long-term. 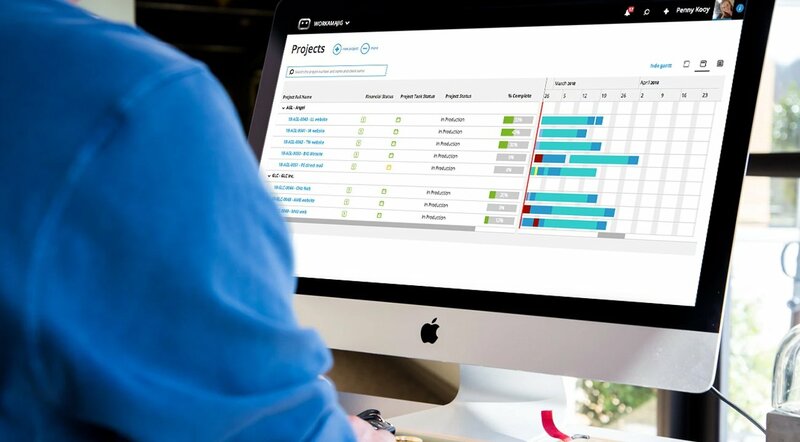 To succeed with retainer, project, or value-based billing you need robust time tracking and project management skills. A tool like Workamajig can make the process much smoother. The biggest threat to agencies today isn’t from other agencies; it’s from tech startups. Startups like 99Designs, BrandMark, Scripted, etc. are upending the agency world with drastically new business models. 99Designs, for instance, helps clients run ‘competitions’ where they can source designs from hundreds of designers, with no upfront payment. While these startups might not be direct competitors - yet - they are eating away at the periphery of your business. Their innovative business models mean they can offer lower prices while also cornering a big chunk of media attention. More importantly, because they’re well-funded, these tech startups often grab the best talent in the market, leaving agencies fighting out for the rest. So how exactly do you compete against these outside threats? Differentiate yourself: Focus on what makes you different - and better - than these tech solutions. Emphasize the quality of your work, the impact of your results, and the level of service you provide. These startups can only do the bottom end of creative work; they can’t help clients strategize, so focus on the latter instead. Focus on value, not prices: You have employees and overheads; the startup likely outsources all its work. You can’t compete against them on prices. So focus on value instead. Clients shouldn’t even think of you and a cheap tech startup in the same breath. Get different clients: The easiest way to avoid competing against these startups is to chase bigger, better clients. Fortune 500 companies aren’t going to outsource their creative work to a tech startup to save a few bucks. The local mom-and-pop store might. If your client roster is filled with budget customers, it might be a good time to get different clients. Attract talent: You can’t always compete against tech companies in terms of salaries. But you can beat them on culture, work-life balance, and perks. Emphasize these in your hiring if you want to attract better talent. Right now, these tech plays are focusing on the low-end of the market. But as they evolve, they’ll bite into your business. It’s crucial that you anticipate their threat and take proactive measures against them. The biggest development in the agency world in recent years is the rise of management consultancies running their own agency arms. Because they already have deep connections with decision makers, consultancies are often able to wean away clients from their agency partners. In fact, the digital arms of PwC, Accenture, Deloitte, and IBM now sit just alongside industry stalwarts WPP, Omnicom, Publicis, Interpublic, and Dentsu in the revenue charts. Fighting against these consultancies is a massive challenge. You can’t beat them on price, nor can you beat them in sales. Creative used to be the carrot to attract clients, but in our data-driven world, creative hardly cuts it as a lure. To beat consultancies, you have to go back to doing what agencies used to do: help clients make better business decisions. In the Mad Men era, it was common for agencies to advise clients - formally and informally - on everything from product portfolio to positioning. Somewhere along the way, agencies started focusing only on grunt creative work. To win now, you have to be willing to beat consultancies at their own game, i.e. strategy and business intelligence. Grey, for instance, launched a consulting arm. WPP followed suit with the launch of Kantar Consulting. You don’t have to launch a consulting division, but you should be willing to take a deeper role in your clients’ businesses. Don’t just build them websites; build business cases for the website. Quantify your work and show them business results, not just traffic analytics. Your goal should be to become a partner, not just another agency that sells creative work. Ask for more involvement in your clients’ decisions. Reach out to them with ideas and pitches. Even if they don’t result in new business, it establishes you as someone willing to go further than other agencies. Combined with your existing creative expertise (something that isn’t really in any consultancy DNA), this can help you win. The agency world is changing. New technology trends and businesses threaten to undermine your position. To thrive in 2019 and beyond, you have to proactively change how you do business and anticipate emerging threats. Your first step, however, should be to streamline your operations. A robust agency management tool such as Workamajig can help you run your business better. Click the link below to see how Workamajig can change your agency.